The list of participants for the 2018 IHF Super Globe is now complete, following confirmation of the participation of two-time champions Füchse Berlin. The IHF Executive Committee made the decision to award the wild card position to the German club based on their victory in the EHF Cup 2017/18, sending and receiving confirmation from Berlin this week. Füchse Berlin join the list of seven other confirmed teams representing Europe, Asia, Pan America, Africa and Oceania: FC Barcelona (ESP), Montpellier HB (FRA), hosts Al-Sadd (QAT), Al Najma (BRN), Esporte Clube Taubate (BRA), L’Association Sportive de Hammamet (ASH) and Sydney University Handball Club (AUS). 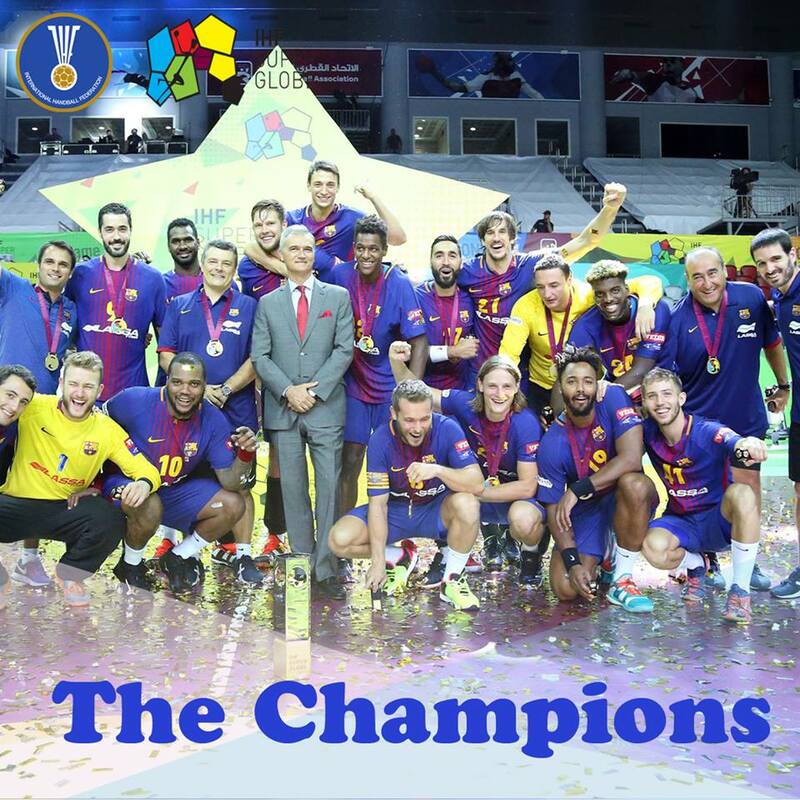 FC Barcelona were the first team to qualify for the 2018 Super Globe, as champions of the 2017 edition. Füchse Berlin won the two previous titles, in 2015 and 2016, and finished as runners-up behind Barcelona in 2017. Montpellier HB qualified as Europe’s representative after claiming the VELUX EHF Champions League 2017/18 title in May. Al Najma are making their debut at the Super Globe, after becoming the first club from Bahrain to win the Asian Men’s Club League Handball Championship last November. They came close to taking the Asian Championship trophy in 2015, when they finished second – at that time, the best result from a Bahraini team. L’Association Sportive de Hammamet will represent Africa after the current continental champions Zamalek announced they could not participate. Esporte Clube Taubate secured their place at the 2018 Super Globe when they reclaimed the Pan American title earlier this year. Taubate have won five out of the six most recent Pan American Championships, with the second-place finish in 2017 the only blemish on the otherwise perfect record created since 2013. Sydney University are also dominant within their continent, winning their seventh Oceania Club trophy this year. The 2018 IHF Super Globe will take place from October 16 to 19 in Doha, Qatar.